Enjoy wonderful views as you fly over beautiful scenic towns and villages, presenting you with the ideal photo opportunity! 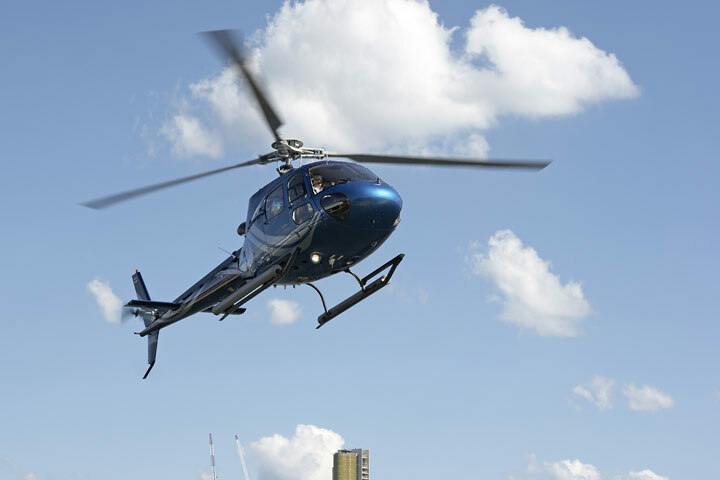 This 55 mile helicopter flight is a dream come true for adrenaline lovers. Admire the views as you climb to heights of over 1000ft and accelerate to speeds of over 120mph as you dip and dive over the stunning landscape below. For thirty minutes will be transported into another world. On arrival you will be welcomed and briefed by a specialist team and given the opportunity to see and hear a modern helicopter at close quarters. 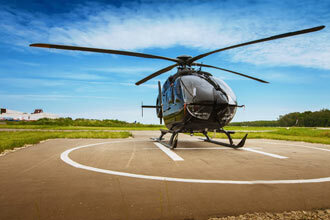 You will get the chance to have your photo taken with the helicopter before boarding to begin your flight. Then it’s up, up and away as you accelerate vertically into the skies. You will climb to over 1,000 feet and accelerate to speeds over 120 miles an hour, interacting with the pilot via the headset (don't forget to listen out for air traffic on the radio!). Don’t forget your camera - with an experience this exhilarating you will want to relive it as often as possible! This experience is available on selected dates, from April to October. Your flight will last for approximately 30 minutes but allow an hour in total. You will share your flight with up to three other people. 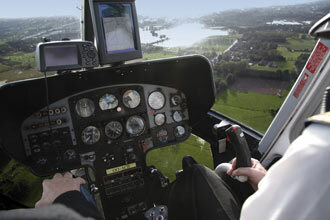 You can bring friends or family along with you on the day to watch the take off and landing. The minimum age for this experience is 12 years old, under 16's need to be accompanied by an adult. The maximum weight is 114kg (18 stone). Please be advised the activity may not be suitable for those who are pregnant, suffer from epilepsy, or who have heart or medical conditions. If in doubt consult your doctor before purchasing. I bought this as a gift for my parents & they absolutely loved it.